Within the last few centuries, the image of New Jersey has changed drastically. Being one of the original 13 colonies, New Jersey has been through the development of the United States from the very beginning. New Jersey's role has changed as well, it went from farmland to industry, from small towns to cities. Its location is ideal, since it is not only on the coast of the Atlantic Ocean but it is centered between major cities like New York City and Philadelphia. New Jersey is now the most densely populated state in the nation. There usually is only one thing overlooked by an outsider, despite that it has over eight million residents, New Jersey still has a large amount of land that is not developed. North Jersey's cities are contradicted by South Jersey's wilderness in particular, a large stretch of forest known as the Pine Barrens. If you know anything about the Pine Barrens, you might know about its most infamous resident. And even if you had no idea about the Pine Barrens, did you ever wonder why New Jersey's hockey team is called the New Jersey Devils? Deep in the heart of South Jersey lies a huge span of dark, desolate woods. These trees give off an eerie feeling as if you are constantly being watched. The plants are so dense it is often times hard to follow a path, and you never know what kind of wildlife is concealed in the brush. You have no idea where they are, but they know exactly where you are... Herein lurks the Jersey Devil. The legend of the Jersey Devil has existed for over 277 years, since before the birth of our country. It has terrorized, puzzled, and intrigued New Jersey's population since the 1700's. It is a mystery that has been passed down from generation to generation and still remains unsolved. Two centuries after the legend's origin, we still only have myths, theories, and horrifying recounts of sightings. So what is the legend? The story begins in 1735 when a Mrs. Leeds of Smithville was pregnant. This was to be her thirteenth child, and Mrs. Leeds was feeling a bit old before her time. As her labor began one stormy night, she cursed the unborn baby during a fit of painful contractions, saying, "Let this child be a devil!" Mrs. Leeds soon forgot her curse when a beautiful baby boy was placed in her arms by the midwife. Suddenly the baby's body started to mutate, and Mrs. Leeds watched in horror as the baby's face elongated to resemble a bat or horse, and long, dark wings sprouted from his shoulderblades. His legs grew long and thin and his pudgy feet hardened and formed into hoof-like extremities. Fear gripped all in the room as long claws grew from the baby's fingertips and his blue eyes yellowed. The creature before them now showed no resemblance to the baby it had been just moments before its transformation. The beast let out an ear piercing scream and then turned, burst through the roof of the cabin and flew off into the night. That is the most common and widely accepted version of the legend, however there are several variations to the story. Let's start with the name Leeds. There are two names of the Jersey Devil's mother- Mrs. Leeds and Mrs. Shourds. Carrie Bowen, a local of Leeds Point, once asserted that the name was Shourds, and the actual house that the creature was born in was the Shourds house. According to Atlantic County historian Alfred Heston, both names are possible. Heston's research showed that both a Daniel Leeds and a Samuel Shourds lived in Leeds Point around the time of the legend. Heston also discovered that Shourds had lived directly across the river from the Leeds house. This fact adds to another variation- perhaps the Jersey Devil had been an illegitimate child who was cursed by the townspeople before birth. The father of the Jersey Devil has always been a disputable topic. Some do not believe that either Mr. Leeds or Mr Shourds were the actual father. In fact, they do not believe the Jersey Devil has a human father; they believe the creature to be a product of Satan himself, mixed with human flesh to give it a body. There are also several variations on the events of the Jersey Devil's birth. Some say that the creature was born as a devil and never resembled a human. Other variations also say that before the Jersey Devil flew off into the Pine Barrens, it killed and ate all people present in the cabin. It has also been said that (assuming it did not kill all in the room) the Jersey Devil would return to its home for years and sit perched on a fence. After a while, Mrs. Leeds/Shourds, not knowing what to do with her deformed child, "shooed" it away, and it never returned. It is believed that the Jersey Devil may have had a name. Smith J. Leeds is the supposed name of the baby that became the beast. Now there is a gravesite with the name of Smith J. Leeds, belonging to someone who had died within two years of birth. The rumor of the name has never been proven though. Regardless of which legend is believed, all versions have a common result- a winged creature set free to roam the Pine Barrens for the rest of its lifetime. 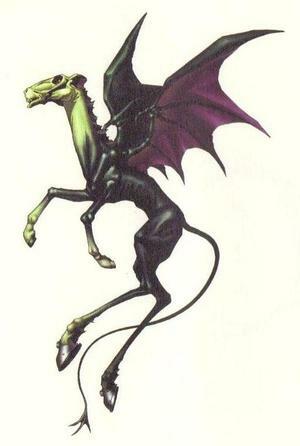 By the turn of the century, the Jersey Devil’s existence became a common belief in New Jersey and its bordering states. The people believed that an eerie, supernatural creature lived in the Pine Barrens. The people also believed that the sightings and tales would soon die out, and that the legend of the Jersey Devil had run its course. The 1900's started off with a major bang for the Jersey Devil legend. In 1909, the largest batch of Jersey Devil sightings ever recorded occurred, in which the Jersey Devil was seen by over 100 people in the time span of a single week. Some sightings were seen by large groups of people at once, other sightings were made by residents who were awakened in the middle of the night to strange noises in the darkness. The huge amount of sightings caused New Jersey to enter State of Emergency precautions, with all residents instructed to be in their homes before dark and to secure all animals at night. Newspapers were filled with detailed sighting accounts, although many articles seemed mocking in tone. The people in the area were terrified especially those living deep in the heart of the Pine Barrens. At one point in the 1950's, the charred remains of a strange creature were found somewhere in the Pine Barrens. These remains were unidentifiable by the Department of Wildlife and Conservation - they had no record of any such creature on file. Some believed these remains were those of the Jersey Devil. During the early 1900's, however, the legend was scarred by the marks of scam artists attempting to make money off of people's fear. One man in particular went to extremes to create a very elaborate hoax. This man obtained a wild kangaroo, painted stripes on its fur, attached "wings" to its shoulderblades, and kept the creature in a dimly lit cage, charging all curious visitors a fee to take a peek at what he claimed to be the Jersey Devil. When the visitors approached the cage, a man sitting behind the kangaroo (armed with a long stick with a nail in one end) would smack at the creature, causing it to lunge forward and shriek in pain frightening all who saw. Eventually, the man came clean on his hoax, and since then the Jersey Devil has not been taken as seriously as it had been before. The Jersey Devil became New Jersey's Official Demon in the 1930's, recognizing the history of the legend and its importance in New Jersey history. This creature is also the namesake of the state's hockey team, the New Jersey Devils. There are many who believe that the Jersey Devil is a very real, very dangerous creature. There has been a constant stream of reports over the years of Devil encounters. Most often, people report finding strange, unidentifiable tracks in the sandy soil in desolate areas of the Pine Barrens. Some reports claim that they are the footprints of a strange bird. Others say that they closely resemble hoofprints, although whatever it is walks on just two legs. There have even been a substantial amount of reports which describe the tracks as being cloven. While less frequent, there are still occasional reports of people who see more than just tracks and manage to catch a glimpse of Ol’ JD himself. He is most commomly described as having the body of a kangaroo, the head of a dog, the face of a horse, large leathery wings, antlers similar to those of a deer, a forked reptilian tail, and prominent, intimidating claws. While some Jerseyans embrace their Devil as nothing more than a quaint figment of our collective imagination, a source of unification and pride, and a unique and important piece of NJ folk culture, others see it as a very real creature and a threat upon their safety. Still others who have sworn they did not believe in the existence of the Jersey Devil have had their minds changed after spending just one moonlit night in the Pine Barrens. There, where a ghostly mist drifts across the cedar swamps and the unearthly cry of some unseen creature can be heard piercing the stillness of the dark forest. Whether its deep in the Pine Barrens or deep in our collective unconscious, many believe the Devil still lurks in New Jersey, and most likely always will. I loved reading this post because I grew up hearing stories about the Jersey Devil at summer camps. I've heard a few different versions of the story, but I never heard about a Mrs. Shourds. It was cool to see how the story keeps transforming. While I don't believe in the creature I will definately pass the story on one day when I have kids. This is one legend I don't think will ever die. I am so glad that someone did a post on the Jersey Devil. I always loved hearing the myths behind the legend. I also find it interesting that there are so many variations to the story.